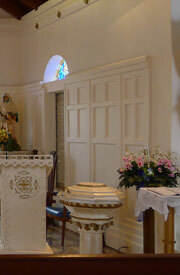 St. Jude Liturgical Arts was commissioned to re-work the existing two altars and wainscoting and Baptismal Font. 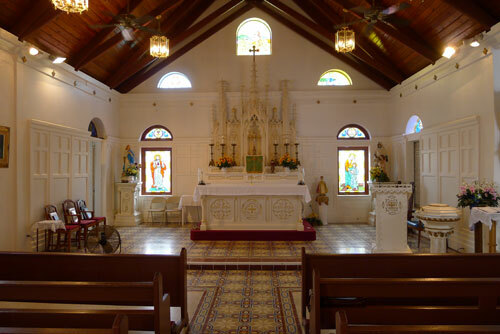 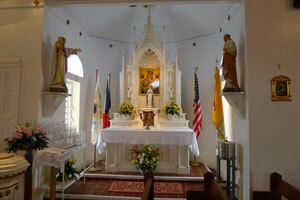 Our carpenters were able to retro fit everything into this quaint small Church. 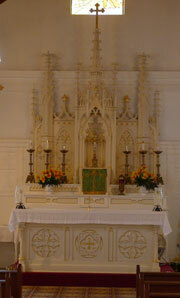 They had limited funds and we were able to provide a new sanctuary well within their limited budget.